This nutrient dense dish can be used in a matter of ways – its lean, green and the combination of mint, wasabi and lemon provides it with a delicious flavor! You can serve it as a side to a main protein source or you could even blend it further with some natural yoghurt, garlic and have it as a creamy, zesty dip served with raw vegetable sticks or toasted Turkish bread! 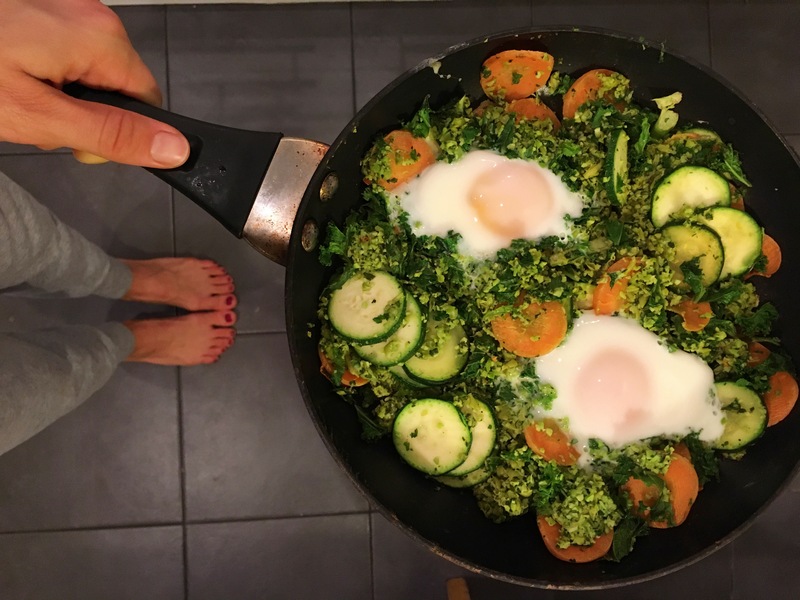 Another delicious way to serve these greens is to place the lot in a pan and crack a few eggs into it, place a lid on the pan and bake the eggs for a few minutes – a delicious high protein meal! Cook the peas and edamame bean, once cooked place all the ingredients in a blender and pulse into a fine texture. You may need to add some more mint or seasoning to the mixture and serve. So easy and so tasty, enjoy! It sounds like the wasabi must give this recipe a kick! We’ll have to try this!